The shutdown is over, and Congress managed to come up with a deal over the Deferred Action on Childhood Arrivals (DACA) issue without involving Donald Trump, who had no idea what he wanted to do about it. The government will be funded for three weeks - three whole weeks! 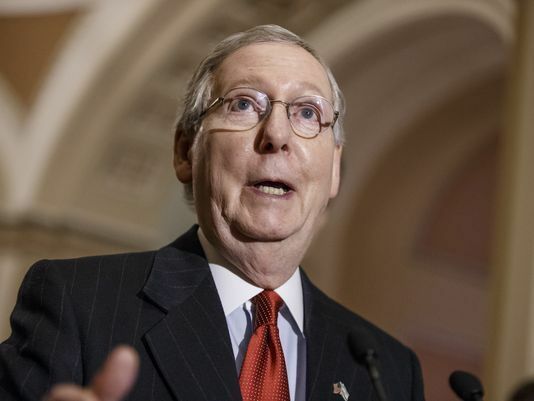 - after Senate Democratic leader Charles Schumer of New York got Senate Republican leader Mitch McConnell of Kentucky to agree to discuss it . . . later. While Trump chief of staff John Kelly and Trump adviser Stephen Miller retard and block any real progress on immigration reform. And Schumer trusts McConnell (below) to keep his promise? That's like trusting a lioness to babysit a pair of lambs. Schumer was supposed to get a deal on replacing DACA with real legislation once and for all, and instead he gets nothing! He loses! And so do the Democrats, who, by the way, had public support for DACA but not at the expense of letting the government shut down. Which would have been suvivable if they hadn't caved. Ask McConnell for a promise? Schumer might as well asked him for a pie crust. You know, you silly Democrats, you could have avoided this mess. 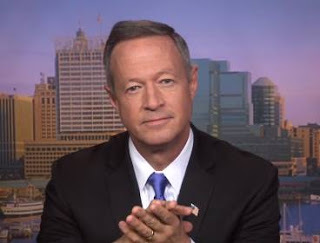 You could have chosen as your 2016 presidential nominee the most liberal 2016 presidential candidate on immigration, one Martin Joseph O'Malley. You had in O'Malley a potential President who was passionate on the immigration issue, who eagerly supported helping and getting legal status for DACA subjects, and who was ready and willing to get immigration reform done come hell or high water. But instead of getting behind O'Malley (below), you laughed him out of the race, let your national committee anoint Hillary Clinton as your presidential nominee, and got a President who wants to avoid dealing with DACA and wants to stop immigration, come hell or high wall. And you're still laughing at O'Malley? You Democrats aren't very smart, are you? I think I'm going to have a Pop-Tart now . . ..